Police in South Hackensack have arrested four suspects on human trafficking charges after three underage girls complained they had been forced into prostitution at a local motel. The suspects are in their late teens and early 20s. Edwin Boneta, 22, and Jefferson Contreras, 18, were each charged with three counts of first-degree human trafficking, three counts of first-degree promoting prostitution of a juvenile, and three counts of endangering the welfare of a child. Selena Boneta, 19, and Stephanie Boneta, 23, were each charged with three counts of second-degree facilitation of human trafficking and three counts of endangering the welfare of a child. Stephanie Boneta from Paterson is the only suspect who is a resident of New Jersey; the other three are from different towns on Long Island. The arrests were made on Long Island and suspects were held in the Suffolk County Jail pending extradition to New Jersey. These are very serious charges. Since 2005, New Jersey law has treated human trafficking as a crime of the first degree, committed when one person uses another “for the purposes of engaging in unlawful sexual activity or providing unlawful labor or services.” When the defendant participates in the human trafficking scheme as an organizer, supervisor, financier or manager, the mandatory term of imprisonment is 20 years. Conviction of the other first-degree crimes could result in prison terms of 10 to 20 years. Convictions for second-degree crimes can draw sentences of five to 10 years. These four young people are therefore facing sentences that far exceed their present ages. Keeping in mind that all suspects are presumed innocent until proven guilty, we have to consider their worst case scenario. Suppose the prosecutor has enough evidence for a conviction. A skilled defense attorney may be able to negotiate for leniency in light of the suspects’ youth, but this would require some show of remorse. There may also be circumstances in the suspects’ lives, such as prior abuse, that could persuade a prosecutor and judge to reduce the charges. 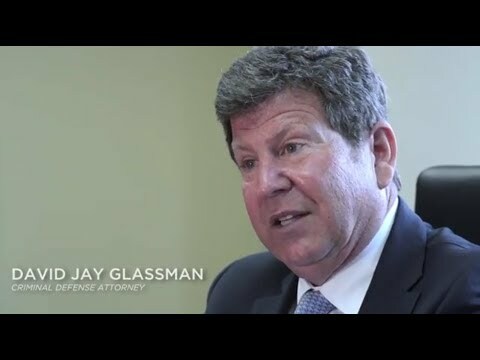 If you are arrested anywhere in New Jersey, you can trust the Law Office of David Jay Glassman to provide an aggressive defense to all charges. You can reach us online or at 866-221-1270.